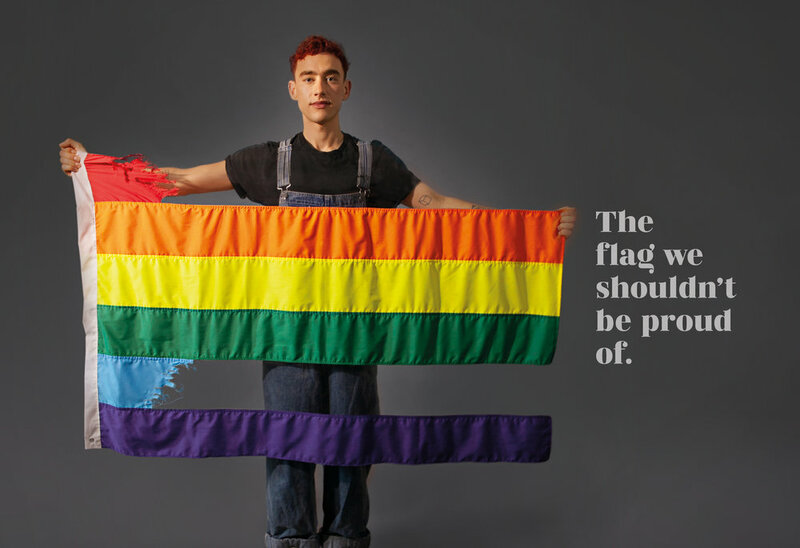 During World Suicide Prevention Day, dramatise the disproportionately high risk of LGBTQ youth taking their own lives. 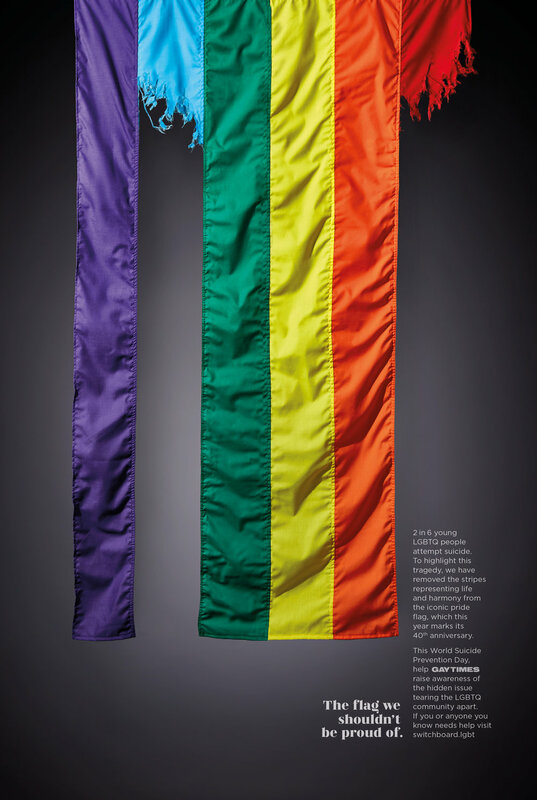 2 in 6 LGBTQ youth attempt suicide. 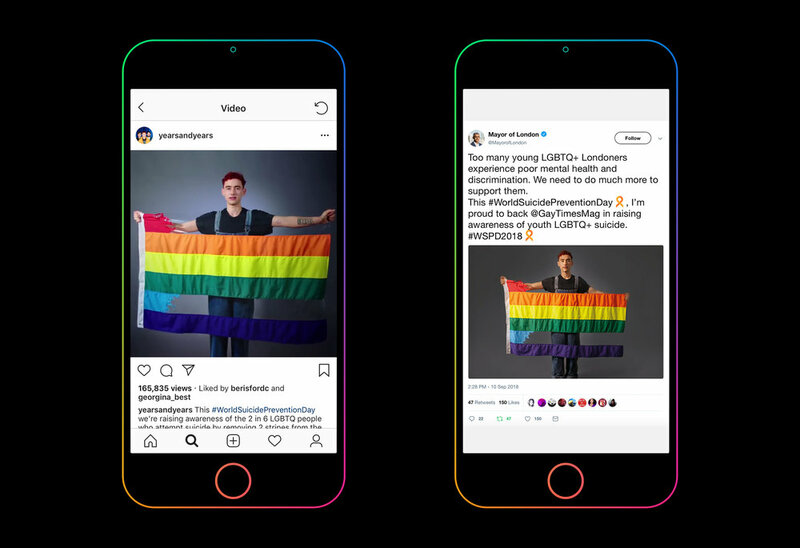 2 of the 6 colours in the iconic pride flag represent life and harmony. 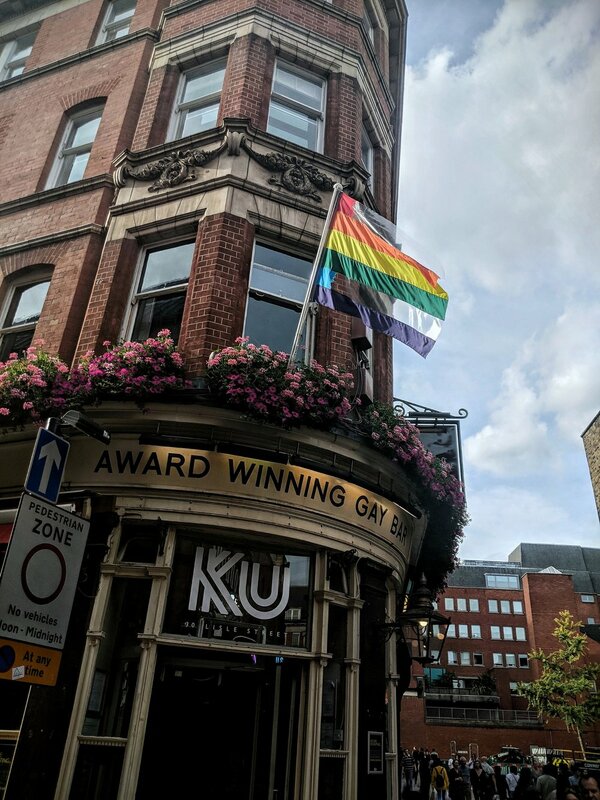 The Flag We Shouldn’t Be Proud Of. 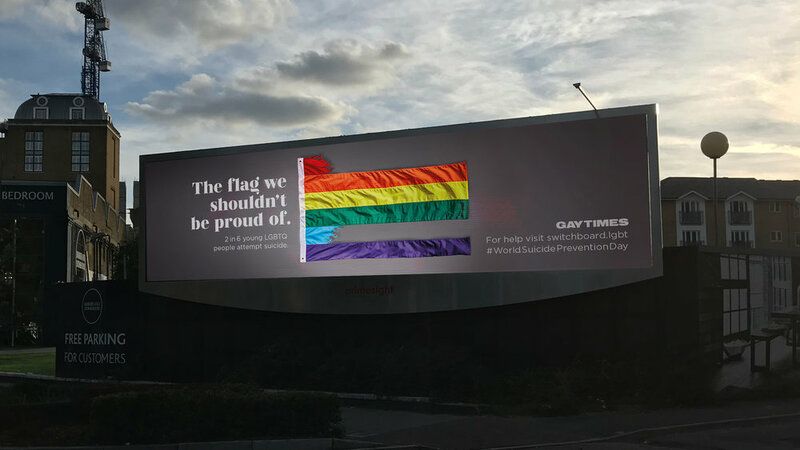 Fronted by Olly Alexander of Year&Years, we created a social, ambient, print and OOH campaign tearing away the stripes representing life and harmony from the iconic pride flag which was celebrating its 40th anniversary. Viewed more than 400,000 times in just 24 hours and shared by The Mayor Of London and The Metro to name but a few.